Best resolving power and small size fit for any kind of use. 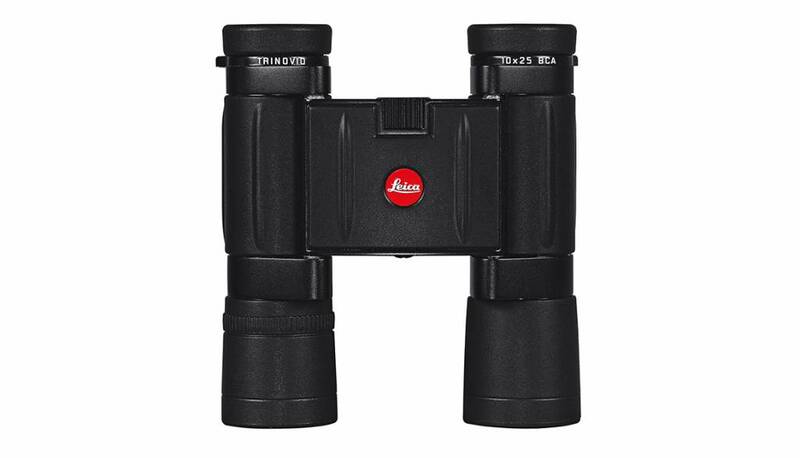 This Trinovid 10x25 BCA model is the most versatile of all compact binoculars. Its high-quality optics provide great resolving power in a small size, making it the perfect companion for various occasions. Built for outstanding colour fidelity and high-contrast viewing. Leica’s innovative High Durability Coating® (HDC®) is an abrasion-resistant and transmission enhancing multi-coating, guaranteeing superior light transmission and outstanding colour fidelity. Inspired by the powerful Trinovid series, this compact binocular is the perfect companion wherever you go. Its robust, water-resistant construction and low weight makes it ideal for outdoor activities. Since their introduction in 1983 and up to the present day, the Trinovid 10x 25 BCA has repeatedly won awards for excellence. It is the classic compact binoculars, and its rugged construction makes it reliable and functional. First-class optics and Leica’s innovative HDC® multi-coating ensure absolute colour fidelity and high contrast, even in difficult conditions. The Trinovid 10x25 BCA has a magnification factor of 10x.